Futurism is an eschatological view that interprets the Book of Revelation, Daniel, and all other prophecies dealing with future end time events in a literal, apocalyptic, and face value context. Other forms of eschatological views, such as preteristism interpret these passages as past events in a symbolic and historic context, and approach eschatology in a non-literal and spiritual textual manner. The dividing line between Futurist and Preterist is futurist assign most of prophecy as yet future, just prior to the Second Coming of Christ while Preterist view all of prophecy as fulfilled in A.D. 70. This means the Church has been drifting in uncharted waters for two Millennium having an unconventional future. Modern preteristism is a blend of Reconstructionism with charismatic extremism and is the root of Kingdom Now Theology. In their view, today we are witnessing a “new” charismatic age of the Holy Spirit that would establish a new religious order.2 Dominionism and Kingdom Now Theology with its radical views of Preterism and Reconstructionism are simply designed to seduce the Church into trusting in the strength of the flesh (Jer. 17:5), to trust in this life and in the New Apostolic Agenda. There are some Futurist who purpose a prophetic progression from the historic now to the eschatological future, men such as Ron Wallace, Jacob Prasch, and Barry E. Horner. They teach Matthew 24 takes us from the perspective of pre-AD 70 to post-AD 70 to the future apocalyptic return of Christ, with various degrees that is. For instance, Ron Wallace teaches that Matthew 24:4-8 are pre-apocalyptic, playing out during the course of the Church age. Jacob Prasch, while mainly PreWrath, leans to dispensationalism seeing the letters to the seven churches in Revelation 2-3 as periods of time throughout the church age culminating with the church in Laodicea. Barry E. Horner see’s all of Matthew 24 as a progression from the pre-70 era to a latter eschatological era. In other words, all elements listed in Matthew 24 are present in all generations leading up to the final conflagration of God’s Wrath. Others like myself view Matthew 24 through a proleptic lens, that is, a near/far lens, a first and last generation view, seeing a relationship between the first generation and the last generation. Some of what Christ taught in the Olivet Discourse was fulfilled in AD 70 (Matt. 24:1-2) while most remains unfulfilled until the parousia of Christ and the Eschatological Day of the Lord. In my mind when you consider Matthew 24 grammatically, the events are in secession to one another and are eschatological in nature. The hinge point is found in Matthew 24:3 between, “…when will these things be (and) what will be the sign of your coming?” “These things” referring to the destruction of the Temple in A.D. 70 while the sign of His coming is eschatological. However, unlike many others, I see a progression of apostasy building up to the main event which opens the way to the revealing of the man of sin (2 Thess. 2:3-10). As already mentioned, modern preterist form what is known as reconstructionism who believe they can reconstruct society according to New Testament principles and the Law of Moses resulting in a golden age of prosperity that will “in time” lead to the return of Christ after this golden age. However, to arrive at such a conclusion, prophetic Scripture is approached with an allegorical and Spiritualized method of interpretation. As a result, for example, they are proponents of what is called replacement theology. The promises given to Israel now belong to the church and a Millennium Kingdom comprised primarily of Jewish believers will never occur. The errors of Reconstructionism, Replacement Theology, Hyper-Preterism, Post Millennialism and Kingdom Now/Dominion Theology cannot be stressed strong enough, all are an over-realized Eschatology. Major problems exist with the view of replacement theology, such as the continuing existence of the Jewish people throughout the centuries and especially with the revival of the modern state of Israel. If Israel has been condemned by God, and there is no future for the Jewish nation, how do we explain the supernatural survival of the Jewish people over the past 2000 years despite the many attempts to destroy them? How do we explain why and how Israel reappeared as a nation in the 20th century after not existing for 1900 years. “Replacement Theology” can be paraphrased as such: “Israel has been replaced by the Christian Church, so the promises and prominent position once held by God’s chosen people are now held exclusively by the Church.” Scripture clearly teaches Gentile believers are grafted into the vine of Israel. (Rom 11:17-21) There is no replacement. By now you can see the many pitfalls that arise from the preterist view. Without exception, every time you Spiritualize and or Allegorize Scripture, error is always the final outcome. Opposite the allegorical and Spiritualized method of interpretation are those who take a literal approach to prophecy, those who believe the Lord will rapture His people before He unleashes His wrath upon an unrepentant world, followed by a literal thousand-year millennial reign of Christ on earth. So on the contrary, without exception, every time you use a literal (face value) method of interpretation you always achieve harmony. The final outcome of a literal method of interpretation will always be sound doctrine! Notice it is a “new move of God,” with a “new mindset” that is leading to a cultural transformation according to Vallotton. Where is this taught in the New Testament? Where is this taught anywhere in Scripture? It’s not! He’s wrong on two points in the first sentence alone, nowhere is it stated that God moves in a new way which in turn causes us to acquire a new way of thinking. This is the first problem, secondly, in Eschatology, as found in the Scripture, there is never a hint of cultural transformation, it’s just not a New Testament teaching. e time of the Flood, the condition of the modern world proves that what we must preach more than ever is “Escape from the wrath to come!”… e time of the Flood, the condition of the modern world proves that what we must preach more than ever is “Escape from the wrath to come!”But hold on, it gets worse! According to Vallotton, our eschatology is working against our ecology, what we believe about the end effects the way we treat the planet. What I want to know is, what planet are you from Chris? It must be nice for these guys to have their heads stuck in the clouds where they see the world through rose colored glasses because the last time I checked our Cities and nations are not being restored. Quite the opposite, our world is coming apart at the seams, society is un-raveling at an exponential rate. But now here’s the kicker, Vallotton ties all this together with a partial verse, and miss quoted it to boot, “as it becomes on earth as it is in heaven.” Here is where he totally distorts and Wrest the Scripture. You see, Matthew 6:10 says; “Your kingdom come. Your will be done on earth as it is in heaven.” Christ’s kingdom will only be realized when Christ Himself sits on His earthly throne in His Millennial Kingdom, exactly as the Scripture says. Preterism can be understood as a narrow miniature three-dimensional spectacle. First is their compression of New Testament prophecy into the pre-70 AD generation. Second is their single-minded understanding of Matthew 24:34. And third is their rudimentary conjecture of an early date for the writing of the book of Revelation. These three are the gest of their foundational credo which are seriously flawed and when compared to Scripture from a face value approach is found doctrinally inadequate lacking any Scriptural support. So the question which arises is, from a Biblical perspective, is Matthew 24:34 speaking of the first generation to which Jesus is speaking to, or to the generation living at the end of the age? The answer lays with one’s hermeneutical method of interpretation of the context. If you’re a preterist, you interpret Eschatological text from a symbolic and historic context, approaching Scripture with an allegorical mentality. However, this method is always faulty leading to error. Others interpret Eschatological texts from a face-value approach to which we will briefly look at three different but similar views. Some prophecies have their complete fulfilment in the long term, but in the short term there is a partial fulfilment in events which are types of the complete fulfilment. The near far fulfillment nature and character of biblical prophecy is the view accepted by many that speaks of an event in the near future of the life of the prophet or the nation while at the same time speaking of an event and fulfillment in the eschatological future. The prophesied event soon to be fulfilled is a type and pattern for a later and more exhaustive eschatological fulfillment. In the Olivet Discourse there is the overlapping fulfilment of short-term and long-term elements, such as the siege of Jerusalem, Antiochus Epiphanes, the destruction of the second Temple by Titus Flavius are only partial fulfilment of Matthew 24. Midrash is a Jewish Hermeneutic which simply means to “enquire into.” For example, looking at John chapters one through three the Jewish interpreter sees a parallel relationship between the Scriptural narrative of these three chapters and the Genesis account of creation in Genesis chapters one through three. The Jewish interpreter reads Scripture exegetically seeing the meaning of a word and the context as important, but also looks for a consistent theme or pattern to explain it in Scripture. With the Midrash method of interpretation there are many types or shadows, but one ultimate fulfillment. Jewish prophecy is made up of patterns, one Scripture interprets another and all must fit together as a whole. Revelation chapter 13 presents the Antichrist and his image, historically, Antiochus Epiphanes partially fulfilled this in 168 B.C. when he sacrificed pits on the altar in the Temple and set up an image of Zeus, yet in Matthew 24 we see Jesus teaching that it was going to happen again, eschatologically. In fact, historically, there have been many Antichrist who have appeared in history, but Scripture teaches one Antichrist personified in the end times. Much of what is Biblically Prophetic is witnessed in history but serves as a type of the final ultimate fulfillment. The Preteristic approach to eschatology and those holding to the Dominion Theology position among hyper-Charismatics that the Olivet Discourse was totally fulfilled in AD 70 along with the prophetic predictions of the Book of Revelation is easily dismissed by the plain teaching of Jesus and its context. What happened in AD 70 was realized in Antiochus Epiphanes but will also be consummated in the Antichrist personified eschatologically. It is true as Jesus taught it in the Olivet Discourse, it is also true in the book of Daniel and the book of Revelation. What was Isaiah prophesying? In his historical present it was that the Medes were about to put an end to the glories of the Babylonian Empire. But there is partial truth here with regard to the historic present, what was left out concerning the eschatological future is what makes a vital difference. Verse 10 is quoted in Matthew 24:29 and was not part of the localized judgment of a world power that existed in Isaiah’s day. Its significance concerns the eschatological future, far beyond that of Christ’s day to the end of the age. In other words, proleptic expressions within eschatological context simply means its eventual fulfillment is certain. It is, the very essence of our faith! As believers, we walk in the present “looking for the blessed hope and glorious appearing of our great God and Savior Jesus Christ” (Titus 2:13). This then evolves into believers living in the future, presently. We live having a proleptic existence. Abraham lived with a proleptic existence, he demonstrated his faith by living in obedience to God’s Promises, leaving his Native Land in Ur and journeying to an unknown land, living many years in the Promised Land as a foreigner, yet never himself saw God’s promise fulfilled but looked beyond this life “waiting for the city which has foundations, whose builder and maker is God” (Hebrews 11:8-10). In fact, all of the Patriarchs of Faith never received the promises, but saw them afar off. “These all died in faith, not having received the promises, but having seen them afar off were assured of them, embraced them and confessed that they were strangers and pilgrims on the earth” (Hebrews 11:13). Even Moses, who…”By faith, when he became of age, refused to be called the son of Pharaoh’s daughter, choosing rather to suffer affliction with the people of God than to enjoy the passing pleasures of sin, esteeming the reproach of Christ greater riches than the treasures in Egypt; for he looked to the reward” (Hebrews 11:24-26). Moses lived in a proleptic existence, “for he looked to the reward.” The word “looked” in the Greek is apoblepo, and literally means “to look away from everything else in order to look intently on one object.” He looked toward a messianic future. That’s the kind of faith I want to walk in! Understanding this makes Hebrews 11:1 so much clearer, it is the future Messianic Kingdom which is the substance of things hoped for, it is the evidence of things not seen. We are to look so intently to the Coming of Christ everything else in this life becomes of no significance. Thomas Ice, “Some Practical Dangers of Preterism,” Tim LaHaye and Thomas Ice, The End Times Controversy, pp. 420‐421, 426. David Chilton, Paradise Restored: An Eschatology of Dominion, p. 225. Notes 1,3,5 were taking from Barry E. Horner’s PDF “The Olivet Discourse” Matthew 24, Futurism and Preterism. Biblical prophecy provides some of the greatest encouragement and hope available to us today. Just as the Old Testament is saturated with prophecies concerning Christ’s first advent, so both testaments are filled with references to the second coming of Christ. It has been calculated that over 25% of Scripture is devoted to prophecy. It has been estimated that there are 1,845 references to Christ’s second coming in the Old Testament, where 17 books give it prominence. In the 260 chapters of the New Testament, there are 318 references to the second advent of Christ–an amazing 1 out of every 30 verses. Twenty-three of the 27 New Testament books refer to this great event. For every prophecy in the Bible concerning Christ’s first advent, there are 8 which look forward to His second! This means that next to the Gospel message, the Second Coming of Jesus Christ is the largest subject recorded in the New Testament. In the not too distant past, eschatology was a somewhat favorite topic. Today, many recoil from extremes and treat the subject with undeserved neglect. The social gospel trends of today tends to concentrate upon the practical, and not the prophetical implications of New Testament truth.2 In the study of Eschatology, we have the witness in Scripture of a progressive revelation. Old Testament Saints looked beyond this present life possessing the hope of the eternal future. Abraham, looked for a city whose builder and maker is God (Heb. 11:10). The Old Testament Saints, not having received the promises, saw them afar off, and embracing them they confessed they were strangers and pilgrims on the earth (Heb. 11:13). Moses, esteeming the reproach of Christ greater riches than the treasures in Egypt, for he looked to the reward (Heb. 11:26). Moses looked away from everything in order to look intently on one object, he looked away from the wealth of the worldly Egyptian system toward the messianic future. While Jesus Christ is categorically the most important individual ever to walk the earth, the Bible shows clearly that the gospel that Jesus brought was not just simply about Himself, but about “the kingdom of God” (Matthew 4:23; 9:35; 24:14; Mark 1:14-15; Luke 4:43; 8:1; 16:16-17). A.W. Tozer stated; “A reason for the absence for real yearning for Christ’s return is that Christians are so comfortable in this world that they have little desire to leave it.” We have no greater evidence of Christ’s return than His own promise in John 14:3; “And if I go and prepare a place for you, I will come again and receive you to Myself; that where I am, there you may be also.” These are the most comforting words in all of Scripture, from Jesus’ own mouth we have the promise of His return. Think of it! Jesus’ personal signature is on our salvation; as we have received Him, He is coming to receive us.3 The Greek word for “receive” in John 14:3 is paralambano meaning “to embrace or to receive intimately, to or for oneself.” It is a compound word, formed from lambanō (“to receive from”) and para (“beside” or “alongside”). Christ used this word only six times when referring to end time events: twice in the Olivet Discourse passage (Matt. 24:40-41), three times when the same comparison is made concerning the coming of the Son of Man (Luke 17:34-36), and one time in John 14:3. “I will come again and receive you unto myself” is strictly referring to His personal appearing to receive His people to Himself. Paul amplified this promise in 1 Thessalonians 4:13-18 emphasizing the certainty of Christ Coming to gather together both the dead and living in Christ in the clouds unto Himself. This then is the “blessed hope” of the Church universal (Titus 2:13), a present living hope, an enduring hope. And as Hebrews 9:28 so eloquently puts it; “To those who eagerly wait for Him He will appear a second time, apart from sin, for salvation.” Jesus Christ appeared first to accomplish His atoning work on the Cross opening the way of access to God the Father, and He will appear a second time to consummate our salvation as we put off the garments of mortal flesh for a heavenly garment. Does the Bible provide an orderly list of signs and events which mark the close of this present age, and what are the events surrounding the Second Coming of Jesus Christ? These answers can be found depending on which lens one is viewing the Scripture through. If you approach the Word of God objectively using an impersonal and unbiased approach the answers present themselves. However, if you approach this subject subjectively using your own perspective or through a bias or predetermined approach, error is inevitable and you will miss the mark. One of my favorite authors, Robert Van Kempen said; “If the plain sense makes sense, then you have the right sense.” In other words, we can only discover truth when we interpret and except Scripture in its most normal, natural, customary sense. If you are one who spiritualizes and allegorizes prophecy contiguous to Eschatology, real truth becomes evasive, but if you except Scripture with a face value hermeneutic the truth of Christ’s Second Coming is Scripturally uninterrupted and harmonious. Jesus, in His Olivet Discourse give us the sequence of events surrounding His return of which there are four main divisions. 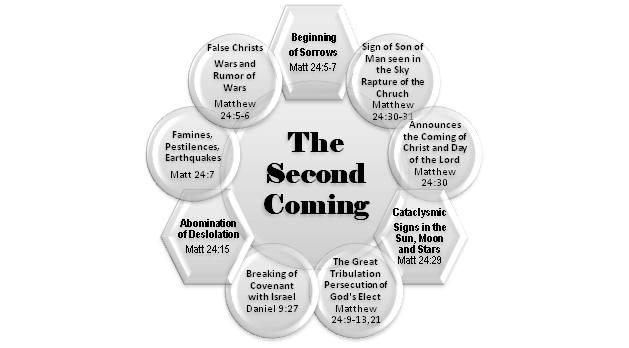 In the chart above I have provided three; “The Beginning of Sorrows,” “The Abomination of Desolation,” and “The Cataclysmic Signs in the Sun, Moon, and Stars.” The fourth is “The Day of the Lord” and we will now look briefly at these four divisions. The Beginning of sorrows in the Greek means “labor pains,” and is better translated “birth pangs” (Matthew 24:8) These labor pains are expected to precede the end, marking the transition from this age to the Age to Come. The picture Christ gives is that of a women in labor who’s “birth pangs” intensify, followed by hard labor then delivery and fulfillment. “The end” (Matt. 24:6,13,14) is not the end of the world as some suppose, but merely the end of this dispensation or age. The Greek word for “end” in Matthew 24:6,13,14 is telos and means the limit at which a thing ceases to be, it always refers to the end of some act or state, its not the end of a period of time but the last in any succession or series of events. 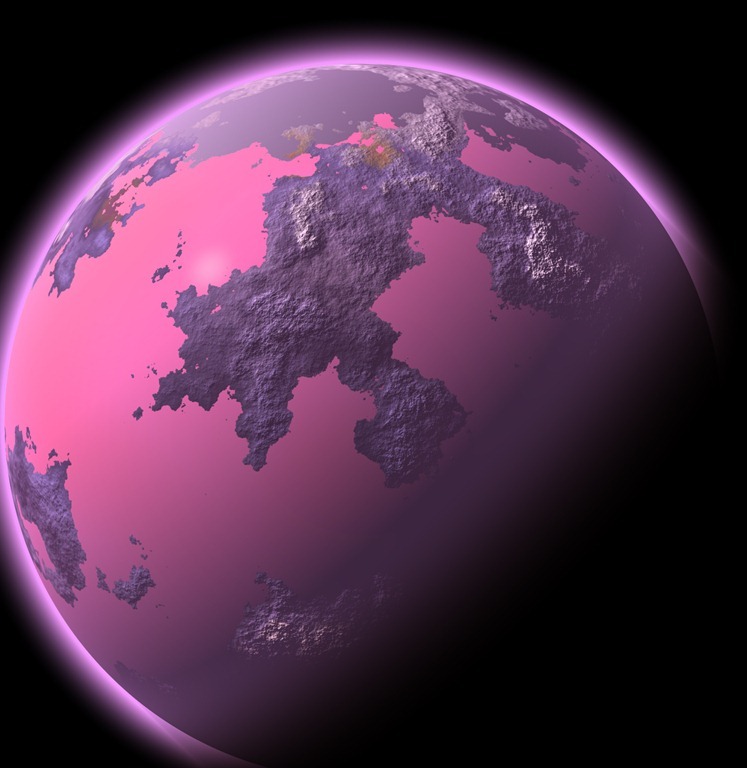 Only after false Christ and false prophets appear on the world scene, only after the wars and rumor of wars, the famines, pestilences, and earthquakes, only after the Great Tribulation and persecution of God’s Elect, only after the Son of Man is seen appearing in the sky will the end come. “The end,” is identified by Scripture as the Day of the Lord when God’s Wrath falls upon mankind and His fury is seen in the earth illustrated by the trumpet and bowl judgments of Revelation. Cataclysmic Signs in the heavens/Sign of Son of Man = Delivery/Rapture of the Church. When Jesus said in Matthew 24:15; “Therefore, when you see the abomination of desolation spoken of by Daniel the prophet, standing in the holy place,” He spent the next five verse giving warning to flee. Why? “For then there will be great tribulation, such as has not been since the beginning of the world until this time, no, nor ever shall be” (Matthew 24:21). There has been a lot of confusion and wrong teaching centered around the word “tribulation.” Too often, the 70th week of Daniel (seven years in duration) is recognized as the “tribulation period.” However Scripture never emphasizes this, in fact, the “great tribulation” mentioned in this text is a shortened period of time (Matt 24:22) beginning 3 1/2 years into Daniel’s 70th week, in the middle of the week, and is cut short by the cataclysmic signs in the Sun, Moon and Stars and the appearing of Jesus Christ in the sky (Matt 24:29-30). It is clear by verse 29 that the tribulation is over by the time these signs are witnessed. So what is the great tribulation? And again we must look at the Greek to get a proper definition. Thlipsis, Greek for tribulation means “to press together, pressure and oppression. Another word used in our Bibles which is translated from the Greek word thlipsis is persecution. In Acts 11:19 the church is seen being scattered because of the “persecution (thlipsis)” that occurred in connection with Stephen. When we compare Scripture with Scripture we find that what surrounds this event is indeed a great persecution. In Revelation 7, the only other place in the New Testament where the term “great tribulation” is used we find a group of people standing before the throne of God who had come out of Great Tribulation. “After these things I looked, and behold, a great multitude which no one could number, off all nations, tribes, peoples, and tongues, standing before the throne and before the Lamb, clothed with white robes, with palm branches in their hands…then one of the elders answered, saying to me, ‘Who are these arrayed in white robes, and where did they come from?’ And I said to him, sir you know. So he said to me, these are the ones who come out of the great tribulation, and washed their robes and made them white in the blood of the Lamb” (Revelation 7:9,13-14). This great multitude cannot be anyone other than the raptured saints of God. 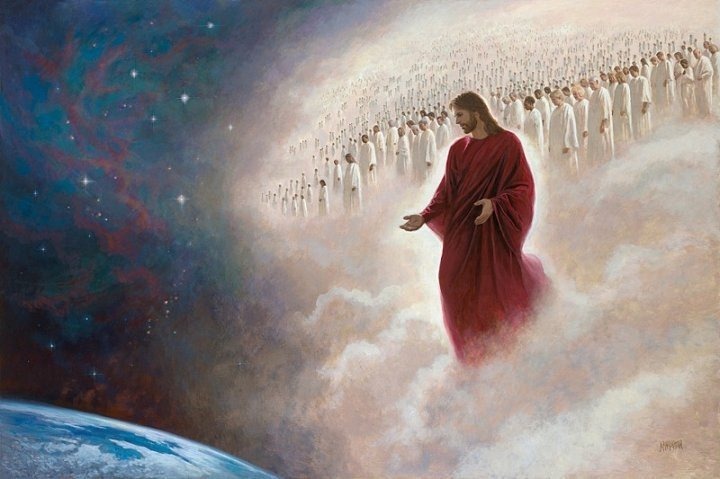 I have several reasons for saying this: First, the timing of the great multitude arriving in heaven precisely parallels the timing Christ gave His disciples in the Olivet Discourse (Matt 24:29,31). Secondly, the great multitude are described by John as coming “from every nation, tribe, peoples, and tongues. Mark sheds some light on this when describing the coming of Christ to gather His elect; “And then He will send His angels, and gather together His elect from the four winds, from the farthest part of the earth to the farthest part of heaven” (Mark 13:27). “The farthest part of the earth” is speaking of a gathering from or out of every part of the earth, this means every nation, tribe, people and tongue. Third, the fourth and fifth seals parallel the Olivet Discourse and what Jesus describes to be the Great Tribulation. Those spoken of in the fifth seal are the martyrs who had been slain for the word of God and for the testimony which they held (Rev. 6:9). The testimony which they held can be nothing other than the Name of Jesus. Two reason for why I say this: First, Acts 4:12 says “Nor is there salvation in any other, for there is no other name under heaven given among men by which we must be saved.” No other authority or personality, no other system or philosophy can rescue the human soul other than the name of Jesus Christ. Secondly, Jesus told His disciples in Matthew 24:9 “Then they will deliver you up to tribulation and kill you, and you will be hated by all nations for My name’s sake.” Only believers in Jesus Christ keep the word of God and hold to the testimony of Jesus. The martyrs were told to rest a little while longer until the number of their fellow servants and their brethren who would be killed was completed (Rev. 6:11), giving us the backdrop that this is an ongoing persecution. The fifth seal describes the great tribulation in progress while Revelation 7 illustrates those coming out of it. And last of all, the great multitude who are standing before God are clothed in white robes having palm branches in their hands. This means they have bodies, unlike those in the fifth seal who are addressed as “souls” this great multitude have resurrected bodies! We find they wanted to know three things, “When will these things be?,” “What will be the sign of your coming?” and “What will be the sign of the end of the age?” I will briefly cover these in the chronological order Jesus gave. First, when the disciples asked, “when will these things be,” they were referring to the temple and it’s destruction, which Jesus said would happen (Matt 24:1-2). This of course is ancient history, the temple was destroyed in A.D. 70 and I will not converse any further on it. The second is the Sign of the end of the Age which Jesus describes in Matthew 24:29; “Immediately after the tribulation of those days the sun will be darkened, and the moon will not give its light; the stars will fall from heaven and the powers of the heavens will be shaken.” Let me first point out that this sign is not given until “immediately after the tribulation of those days.” By the urgency of this sign it can be said that the sign itself abruptly ends the Great Tribulation. This makes sense when you consider this to be a worldwide event, all of humanity will now focus and respond as this event is catastrophic. But this sign does more than just get the attention of humanity, this sign announces two things, the coming of Jesus Christ and the Day of the Lord. To the Believer, God’s elect, this sign will serve as the source of hope and expectation, of redemption; “And there will be signs in the sun, in the moon, and in the stars; and on the earth distress of nations, with perplexity, the sea and the waves roaring…Now when these things begin to happen, look up and lift up your heads, because your redemption draws near” (Luke 21:25,28). The redemption spoken of here refers to the completion of Christ’s saving work, the redemption of the purchased possession (Eph. 1:13-14), the redemption of our body (Rom 8:19-25), when death is swallowed up in victory and this mortal has put on immortality (1 Cor 15:50-58). To the unbeliever, this sign will serve as the thunder of an approaching storm, however, as horrific as the biblical description is of this sign, it pales in comparison to what is coming upon the earth, namely, the Day of the Lord. Joel tells us this sign will occur just prior to the Day of the Lord; “And I will show wonders in the heavens and in the earth: Blood and fire and pillars of smoke. The sun shall be turned into darkness, and the moon into blood, before the coming of the great and awesome day of the LORD” (Joel 2:30-31). When you combine Matthew 24:30 with Revelation 6:15-17 it become clear why mankind will seek to hid, they see Jesus Christ standing upon the clouds of the sky! And just for those who are skeptical, the Greek word for “heaven” in verse 30 can be translated “sky.” Revelation 1:7 adds to this thought; “Behold, He is coming with clouds, and every eye will see Him, even they who pierced Him. And all the tribes of the earth will mourn because of Him. Even so, Amen.” Jesus’ return will be definite, personal, and visible and His presence on the clouds emphasizes His coming is with judgment. The language is plain, the world not only is witnessing catastrophic signs in the heavens and the earth, but every man, woman and child will witness the visible return of Jesus Christ and His coming is twofold, to rapture His church from the earth and His coming is with judgment. The Rapture! When we gaze upon what Jesus taught His disciples, the language is strikingly similar to another passage of Scripture; Jesus will send His angels, with a great sound of a trumpet, and gather together His elect. Sounds a lot like what Paul taught the Thessalonians! “For this we say to you by the word of the Lord, that we who are alive and remain until the coming of the Lord will by no means precede those who are asleep. For the Lord Himself will descend from heaven with a shout, with the voice of an archangel, and with the trumpet of God. And the dead in Christ will rise first. Then we who are alive and remain shall be caught up together with them in the clouds to meet the Lord in the air. And thus we shall always be with the Lord” (1 Thess. 4:15-17). “The classic Rapture passage recorded in 1 Thessalonians 4:17 says that when the Rapture occurs, we will “be caught up together with them [the dead in Christ] in the clouds to meet the Lord in the air.” The peculiar Greek word episunagō (“gather together” Matt. 24:31) used by Christ when He speaks to His disciples in the Olivet Discourse will prove that point. Sunagō comes from two smaller Greek words that together mean “to bring together, come together, gather together, or assemble.” It is the root verb from wich the noun sunagoge (synagogue) is derived. Basically, synagogue means a “gathering place,” where people assemble together. And when you consider what Paul said to the Thessalonians; “Now, brethren, concerning the coming of our Lord Jesus Christ and our gathering together (episunago)to Him, we ask you,” (2 Thess. 2:1) more evidence is presented, for this passage of Scripture is an undisputed reference to the Rapture of the saints of God. 1 (Robert Van Kempen; The Rapture Question Answered, Published by Fleming H. Revell a division of Baker Book House Company. Preface pp. 13-14). 2 Herbert Lockyer; All the Doctrines of the Bible; Zondervan Books Zondervan Publishing House, p.267; (Edited by myself). 3Spirit Life Bible; Jack W. Hayford; Thomas Nelson Publishers; p.1602 “Kingdom Dynamics”. 5(Robert Van Kempen; The Rapture Question Answered, Published by Fleming H. Revell a division of Baker Book House Company. Preface pp. 84,85). 6(Robert Van Kempen; The Rapture Question Answered, Published by Fleming H. Revell a division of Baker Book House Company. Preface p.184). We should pray for the people of Japan in the aftermath of the earthquake and the tsunamis which left this nation in devastation. Earthquakes and tsunamis are events that should bring us to our knees in repentance (Luke 13:2-5), or at least cause us to pause and reflect on the judgments of God upon humanity for our lack of repentance. This event will either harden hearts more toward God, or by God’s grace will break them with contriteness—there is no neutral response. When we view pictures and video of the devastation they remind us of how fragile we really are. We should understand how our reliance upon things can easily be wiped out. It should humble Humanity, especially how we so easily love to elevate our “greatness” instead of acknowledging God’s. As we have seen in recent days, the disturbing phenomena and violence of tsunamis strikes terror in the hearts of people. 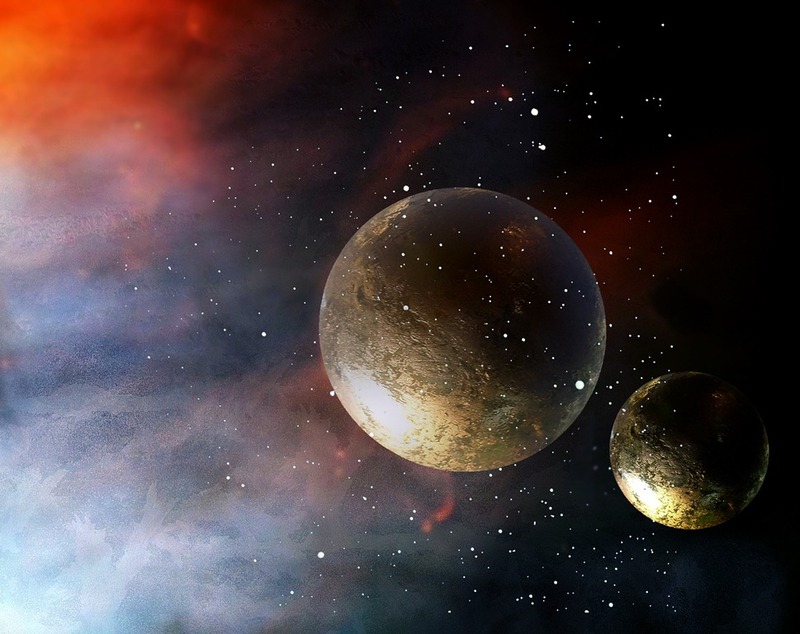 In the future, just before the Day of the Lord there will be a cluster of celestial and earthly disturbances that will act as a prelude warning to the Day of the Lord. “And there will be signs in the sun and moon and stars, and on the earth nations will be in distress, anxious over the roaring of the sea and the surging waves” – Luke 21:25. The Greek describes the surging waves as the tossing or swell of the sea. These cataclysmic events are not simply metaphors; they will actually happen. These signs signal the end of the age simultaneously extinguishing all natural lights in the heavens, plunging the earth into total darkness. Accompanying this celestial sign the earth will experience worldwide earthquakes causing tsunamis mankind has never witness before. Nations do not “distress” over mere ten foot waves. This will be global tsunamis on a massive scale. Interestingly, the Greek term for “surging waves” (salos) can mean “earthquake.” Also, the text indicates that the nations on the earth are not so much distressed and anxious over the celestial signs as much as they are with the roaring of the sea and surging waves. Again, mere ten foot waves do not accomplish this. No wonder Scripture prophecies that “people will be fainting from fear and from the expectation of what is coming on the world.” When these bewildering events occurs, unbelieving mankind will panic and desperately seek hiding places among the rocks and in caves because they will then know with horrifying certainty that the wrath of God is about to commence. This is a sober truth. Do not fall into the Amos syndrome, in which his audience was deceptively self-assured that they were right with God and that the Day of the Lord was for those “other people.” “Woe to those who wish for the day of the LORD! Why do you want the LORD’s day of judgment to come? – Amos 5:18 Today is the day for self-examination. Wiersbe, W. W. 1997, c1992. Wiersbe’s expository outlines on the New Testament . Victor Books: Wheaton, Ill.
2The Treasury of the New Testament, vol. 2, “Joyful Anticipation of the Second Advent,” Luke 21:28-31 (Grand Rapids: Zondervan, n.d.), p. 130. 3Written by Alan Kurschner on 03/11/11 Edited, Changed and expounded on by Myself.